Great Add-Ons for your Business! Connect your Google Sheets to XERO, AWS, HubSpot and other cloud apps! Our add-ons automatically retrieve data from cloud applications into Google Sheets. With G-Accon add-ons, you can take advantage of all the great features of Google Sheets: share spreadsheets with anyone or publish to a website so your clients can see live dashboards! Work as a team in Google Drive and collaborate in real-time! Manage data security by providing view-only access to your spreadsheets. No registration or credit card needed, just install add-on and you are all set! Work with your live Xero accounting data and reports directly from Google Sheets. Connect AWS Management Console to Google Sheets and Automate your Tasks. Pull your HubSpot data into Google Spreadsheets for review and update. Contact us at support@accon.services for all questions, technical issues, feedback or if you would like to request new add-ons or features. 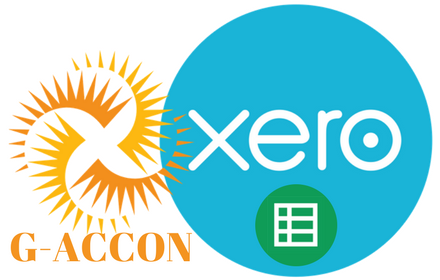 G-Accon is now a Xero App Partner! You can find our add-on in Xero Marketplace under Reporting. You can easily pull your HubSpot data, for example Contacts, into Google Spreadsheet, for review and update. Each data category will be downloaded into separate spreadsheet tab. You can synchronize downloaded data with the HubSpot server. G-Accon for XERO is a wonderful Google Spreadsheet Add-On designed for xero.com. Using accounting connector get the transactions, accounts, contacts data you need from Xero tables. Automate metadata extraction from AWS. Do backup of the data. Send Notification. Add the alerts. Pull out AWS metrics into Google Sheets for further inventory and cost efficiency analyses. Great tool to evaluate AWS usage and reduce operation costs.